I get it, being healthy is hard – but during the holidays especially? Forget it! There are three months of the year dedicated to delicious pies, homemade candy and sweets and tasty cakes. Let’s not even mention all of the extra carbs and holiday food. Still, the optimist in me believes there’s got to be something we can do to keep our families healthy and relatively active during this time of year! That’s why I called in the experts. Dr. Garth Graham, President of the Aetna Foundation, is here today to share some simple tips to help us all be a little healthier during the holidays. Eat well. The obvious answer, yet not always the easiest. Dr. Graham suggests we choose fresh, seasonal, nutritious foods as often as possible, but knows this isn’t always possible especially when so many of us are on tight budgets at this time of year. Have no fear, he assures us when choosing fresh is not an option frozen and canned fruits and vegetables still offer plenty of health benefits. Stacy’s Two Cents: It’s also one of my favorite ways to connect with my loved ones. So keeping them close to me in the kitchen also helps to keep us close as a family. Get off the couch. It can be tempting to curl up on the couch and stay warm and dry during the cold winter months, but find ways to stay active with your family – like interactive dancing video games, an indoor game of hide-and-seek, or even something as simple as dancing during commercials while you watch your favorite TV show. Find more healthy living tips for your family at http://www.aetna-foundation.org/. 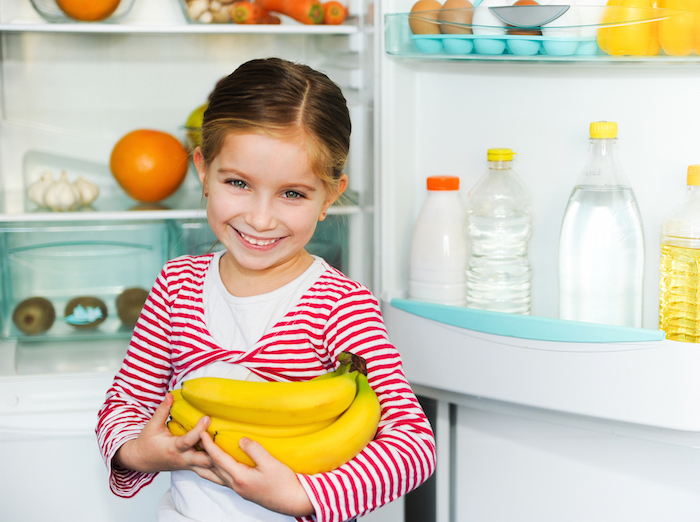 Want more ideas on how to create healthy habits in your family? Read on! Get excited about being healthy. I know it’s tough to stay motivated. In fact, I’ll make a confession with you right now. From May thru October I found my inner fit chick. I was working out each and every day and getting into the best physical shape of my life. Then I had to travel for a couple of weeks, then Halloween and a couple sicknesses and before I knew it I am right back to being an almost couch potato again! But, I’m not having that. Want to know what I’m going to do about it instead? I’m taking a deep breath, forgiving myself for taking some time off, putting on my big girl workout pants and getting back into it. A little at a time. It’s ok to take a break and it’s certainly alright to not be perfect at this. Spoiler Alert: None of us are! Just remember why you are trying to be healthy in the first place. To feel better, to have more energy, to do something fun with your kids that doesn’t cost a small fortune. There are so many reasons to get healthy and stay fit. Let’s try them all together! Start Small. It takes time and effort to make a difference. Being healthy is a commitment and the best gift you could ever give yourself and your family. You won’t always feel like doing it, but I can tell you that one hour I steal away for myself to work out each day does more for me than I could ever imagine. And I always know it once it’s over because of the way I feel. Do it for the way you’ll feel after! And when you begin, maybe its just a 10 minute walk. That’s OK! Bit by bit work your way up to 12, 15, 25, 30 minutes. Before you know it you’ll be able to do things you never thought possible. Believe me, cause it’s happened to me. Check out your local farmer’s market– One of our favorite places to get healthy stuff is the local Farmer’s market. We make a family day out of it. My whole family goes to the gym together; the kids go to the play area and my husband and I split up to do our workouts. When we’re done, we head over to the farmer’s market and we take turns picking out something we want to use to create a healthy dinner that night. We’ve been able to try things we never would have picked up on our own at the supermarket. Kids Choice: My 9-year-old encourages you to look for a 5K in your area and do it as a family! Media in moderation is okay. Teaching kids about moderation isn’t just about food. It’s about everything, and this includes screen time and electronics. It’s fine to play! Just remind them to take short breaks to get and up move along the way! My favorite games are ones that encourage movement, such as virtual sports or dancing. And when they’re done playing, invite them outside for a game of catch or tag or even a snowball fight depending on where you live! Have fun with it– Once you get going on your new food and work out routines it gets easier, I promise. And with any luck, maybe a little fun too! Shake things up by letting each family member choose the activity of the day or even traveling to a nearby park or trail you’re never been to and spend the day exploring. As long as you’re together and active, it counts! And these memories, these are the ones that last a lifetime and that alone motivates me to keep on going. Special thanks to the Aetna Foundation and Dr. Graham for getting this conversation started today. The Aetna Foundation is dedicated to helping improve the health of local communities and large populations alike. The Aetna Foundation’s mission is to help people understand wellness, how to better their health, and help them have better access to high-quality health care and supporting communities in the process. For more than 40 years, the Foundation has worked with local, national, and select international organizations to create ideas and programs for improving health. A few ways they are making an impact? One is by working to increase access to healthy, locally grown fruits and veggies in underserved communities. One scary thing they told me, our zip code is a greater indicator of health and longevity than our genetic code. It doesn’t have to be that way. With 23 million Americans living in low-income urban and rural areas (Let’s Move), 49 million Americans, including 15.8 million children, living in food insecure households (Feeding America), and 9 out of 10 children not eating enough veggies (CDC), we need to find a solution and fast. The Aetna Foundation aims to get make our undernourished communities healthier by going where the people are (schools, churches, community outreach programs) and increasing their direct access to fresh fruit and veggies. And you know what? They are helping people in my community too. San Antonio Sports was just awarded a grant for $50,000 by the GoLocal Grant Program through the Aetna Foundation! San Antonio Sports is an afterschool program that promotes play and getting active, which makes it the perfect recipient for the Foundation’s grant program. ** The GoLocal: Healthy Communities Grant Program awards money to organizations that engage local residents in nutrition education and/or cooking classes, distributing produce reflecting local ethnic and cultural food traditions, providing ways to learn job skills, and generating opportunities to support the project through community service or volunteering.